Each year, there are around 3 million workplace accidents in the United States. The majority of the injuries workers sustain are caused by slip and fall accidents. The more goods you have laying on your facility floor, the bigger the chance that someone could trip over them. One of the ways to prevent these accidents is by investing in industrial shelving units. With the right industrial shelving units, you will be able to keep inventory off of the ground and out of the walkways in your warehouse. Most business owners fail to realize just how many different shelving systems there are on the market. Read below to find out more about the shelving systems out there and how to choose the right one for your business. Are you looking for a shelving system that is durable and easy to assemble? If so, a rivet shelving system may be just what you need. Not only are these metal shelving units easy to put together, they provide you with easy access and stability. Many rivet shelving systems can hold up to 1,800 lbs. per shelf. These shelving units have very little hardware and the only tools you will usually need when constructing them is a mallet. Many business owners use rivet shelving because it comes in a variety of sizes and is very cost-effective. When looking for shelving to store high-density bulk items, rivet systems are ideal. For years, business owners have used steel shelving in everything from warehouses to office spaces. Generally, steel shelving is installed to accommodate high-density parts and tools. You can get this type of shelving in both open and closed back styles. These types of metal shelving units offer a higher rate of adjustability and use compression clips to ensure the shelves stay at the appropriate height. It is easy to keep items organized in these types of shelves, due to the dividers and bin fronts option that are available. If you need a lot of storage but you have a limited amount of space, steel industrial shelving is a great option. This shelving also comes in a variety of colors, which means you will be able to keep your workspace appealing with ease. When trying to maintain a high level of appeal in your workspace, putting in wire shelving units is a great idea. Just like rivet styles shelving, wire shelves have a somewhat open construction. This means workers will be able to access it from all four sides. Wire shelving can also be mounted on casters to make it easy to move. Many food service businesses use this shelving because it can be easily wiped down and disinfected. You can also adjust wires shelving in one-inch increments without the use of clips or additional hardware. 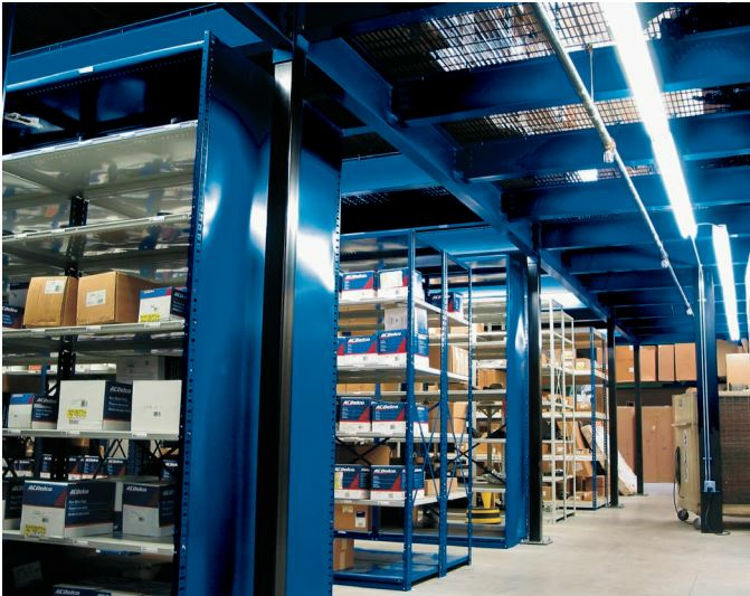 Increasing the level of organization in your warehouse is easy with the right shelving system. Not only will the right shelving system help with organization, they can help you prevent workplace accidents as well. Are you looking for quality shelving systems for your business? Give Applied Handling NW a call today to find out more about the metal shelving units we offer.